In ‘The Sick House Survival Guide’ Angela Hobbs tells her story of recovery after a renovated house stole her ability to complete thoughts, finish sentences and even stand up. All that in six short weeks. It’s kind of difficult to find your way out of a maze when you don’t complete your thoughts. The phone rings and you can’t process that you need to answer it. You can’t connect your children’s request for food with opening the fridge door. The simplest of actions are lost in a haze – so how do you escape? For Angela, getting out meant finding a safe haven, a place where she could read and process the information that would eventually give her the strength and tools to heal. Tools that would help her persuade her husband that the medical advice they were receiving was wrong. Tools that would convince him to move her and their two young children far, far away. Tools that would reveal the healing conditions in which she would quickly recover and return to a normal productive life. 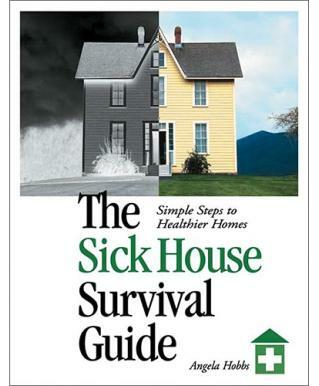 The Sick House Survival Guide outlines the simple steps the author would have taken to regain her health…with hindsight.